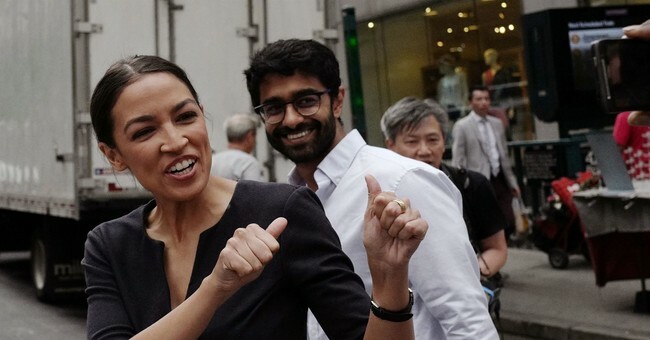 Wait–This Is Why Alexandria Ocasio-Cortez Shut Down The Press At A Town Hall Event? The candidate herself tweeted similar statements when criticized by the press. Ocasio-Cortez called the controversy a “non-story.” Oh, this is great. She’s a public figure. She’s running for office, but let’s have safe spaces and shut out the press—all of this while the national news media establishment thinks press freedom is under threat by President Trump. Trump will blast you on stage. He’ll mock the liberal media, but say what you will—he’s available. Even ABC News’ political director admitted that the Trump White House is more accessible than when Obama was in office. The Washington Post’s Seung Min Kim noted the lack of self-awareness here, while RNC spokesperson Kayleigh McEnany joked that a socialist shut down the press, which is in keeping with other far left authoritarian regimes tolerate media freedoms: they don’t. So, good luck people of the Queens. Ocasio-Cortez seems to have a constituent relations system that places some higher than others. Welcome to the new Democratic Party, where identity politics is supreme. Apparently, having the press around is a triggering action. So, who is worse, Ms. Cortez—Trump or the media? The irony in shutting down the press, besides her being a public figure, is that the reason the media is mobbing her is precisely because she’s anti-Trump. I think we’re watching a slow-mocking train wreck, folks. Pass the bourbon. The socialist bans the media!! !